My family and I spent August visiting family in Liverpool (yes, that is where the Beatles came from) and then vacationing in Norway. 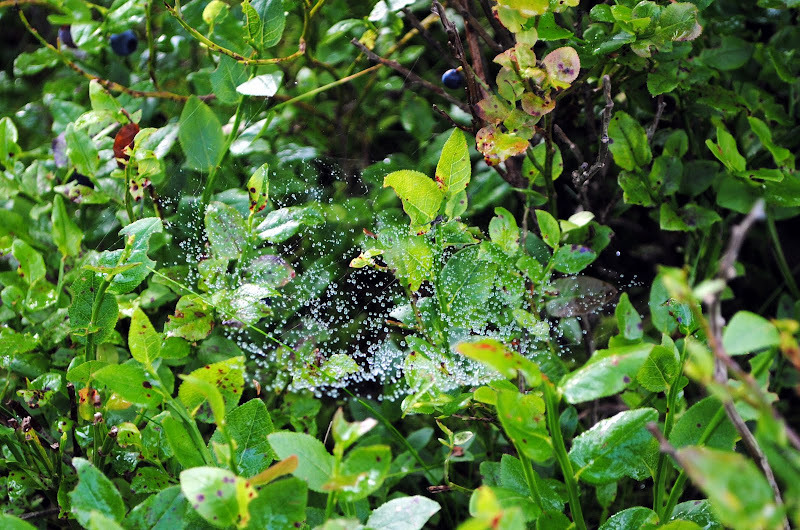 Once you've discovered spider silk, your vacation snapshots are never quite the same. Norway is a wide-angle country. It's the rare photographer who can capture how high and deep the fjords feel, how scraped and lichen-splattered the mountain plateaus look, how the sky hangs at many levels at once. Anyone willing to sit through the post-trip slideshow quickly tires of hearing, "It was much steeper than that looks," and, "That's only a small slice of the view from there." But Norway also exists on a different scale, and if my eyes hadn't been drawn to nooks and edges because I now detect spider silk everywhere, close-focus Norway might have escaped my notice. And so, a small selection of our travel pics (taken by Spider Silk's crack illustrator, Peter Loftus).